The 2016 Rio Paralympics has ended but it has surely left an indelible impression on the sports world. Throughout the 12 days that it went on, numerous stories of courage and determination came to the world’s attention. Athletes defied the odds to reach the pinnacle of glory that smashed the myth of ‘survival of the fittest’. There is nothing more powerful than one’s resolve, and the Paralympians showed that in abundance. If anything, they are the harbinger of hope for the hopeless and are truly an inspiration for everybody. 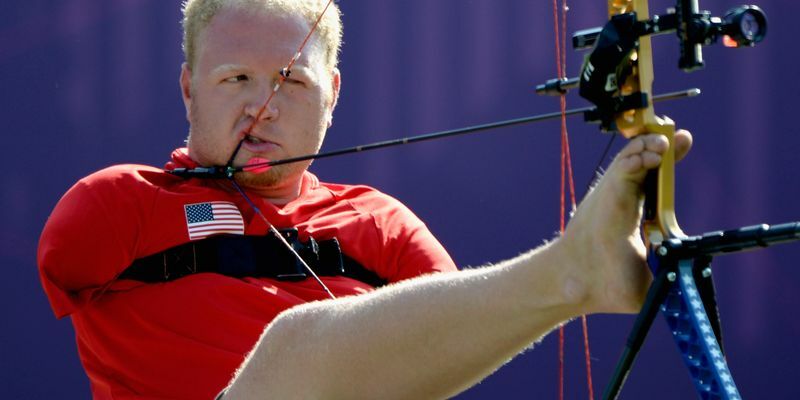 Matt Stutzman was one such Paralympian archer who stood out for his exceptional mental fortitude. We are accustomed to seeing an archer using his two hands to shoot – one to hold the bow and the other to release the arrow. But the 33-year-old American is here to change that perception. With his feet, shoulder, and jaw, he competes in the sport of archery and even excels in it. That is because the Kansas City native was born without his arms. To envisage someone in archery sans his arms seems implausible. But Stutzman is a man of indomitable spirit who had to patiently learn to do everything without hands for the entirety of his life. For him, the word ‘impossible’ is just a state of mind and one he admitted he never wanted to embrace. He did not grow up as an archer. Rather, it became his sole means of support and survival during one of the toughest phases of his life. A job eluded him when he had a family to take care of in 2009. The desperation and depression made him turn to his hunting skills in order to bring food to the table. Hunting was not alien to him, and he had done it with a gun when he was much younger. But doing it with a bow and arrow was the only option left for him now as the archery season for hunting is longer and that meant it would give him a steady supply of food. He developed his novel method of shooting where he held the bow with his right foot and released the arrow with his jaw. Stutzman never let his handicap come in his way. Since his family was dependent on him, he could not afford to fail. His constant drive and undying willpower pushed him to get better and better. His sharpness and precision in just two years were noticeable. In 2011, he was suggested to try the Paralympic Games during a tournament in Las Vegas. Stutzman then burst into the spotlight by qualifying for the 2012 Paralympic Games where he went on to win the silver medal in the individual compound open event on his debut. The American continued to impress. In 2015, he even set a Guinness World Record for the farthest accurate shot after hitting a target of 283.47m, thus eclipsing the record of 200m that was previously held by an able-bodied archer, Peter Terry of Australia. He, unfortunately, sustained an injury to his shooting leg a few weeks before the now-concluded 2016 Rio Paralympic Games. Despite his very best efforts, he succumbed to a heartbreaking loss, bowing out by just a solitary point (141-142) to Andre Muniz de Castro of Brazil in the quarter-finals. But Stutzman’s fierce determination has not ebbed away even a bit. He has now set his eyes on the able-bodied competition and has expressed his desire to make the World Cup archery team. The man, who boasts of having amassed 702 out of a possible 720 points, wants to test himself against the likes of the current World No. 2 compound archer Stephan Hansen. “My focus next year is able-bodied archery. So I won’t be doing para events next year. To be the best I have to shoot with the best in the world. “I wanna shoot against Stephan [Hansen], Christopher Perkins. 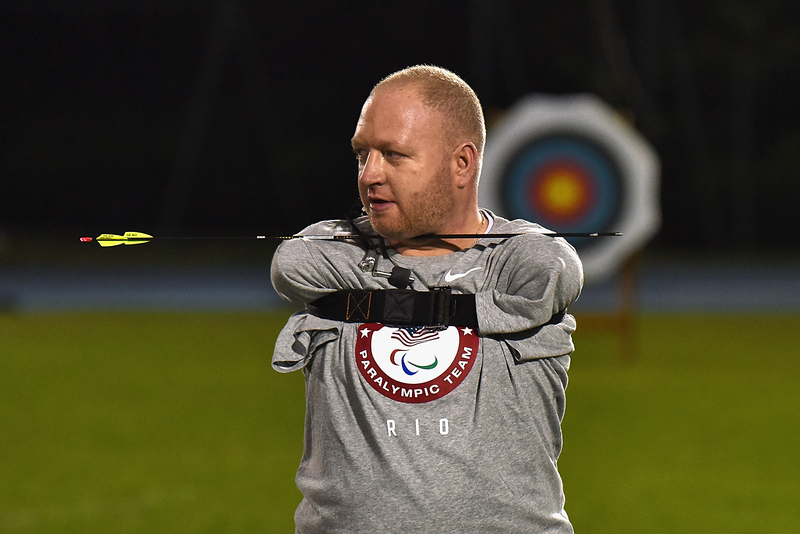 I want to step up to the line with those guys and battle it out,” Stutzman told worldarchery.org. That is definitely not surprising. For a man, who had to teach himself unique ways to carry out almost every job right from the beginning, he considers himself just like another. In place of arms, he has only two tiny stumps at his shoulders but his courage is beyond measure. He has the stubbornness and the attitude of champions which is why he is what he is today. Part of the credit obviously goes to his adoptive parents, Leon and Jean Stutzman. They helped him to figure out himself and how to approach his daily activities even without his hands. Today, the 33-year-old can write, shave, play basketball, and even drive a car. There is no doubt that Stutzman is an inspiration for many. Nothing can get in the way if someone has a firm belief in himself and is willing to do everything possible to achieve his goals. And the Armless Archer is the biggest example of that.